Every year, government agencies use hundreds of dogs and cats, and thousands of primates in wasteful and cruel taxpayer-funded experiments. White Coat Waste Project recently secured the retirement of monkeys to a sanctuary from a Food and Drug Administration nicotine laboratory, convinced the Department of Veterans Affairs to encourage the release of lab animals, and is working to get cats released from the U.S. Department of Agriculture's kitten slaughterhouse. Now, WCW is working with a powerful bipartisan coalition of Congress members to ensure that all dogs, cats and primates who survive government experiments are retired to loving homes or reputable sanctuaries. 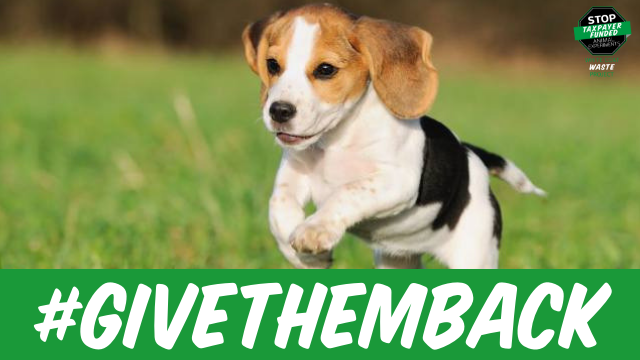 Taxpayers bought these animals and we want the government to #GiveThemBack. Tell Congress that all government agencies should have formal policies promoting the retirement of dogs, cats and primates from federal laboratories!